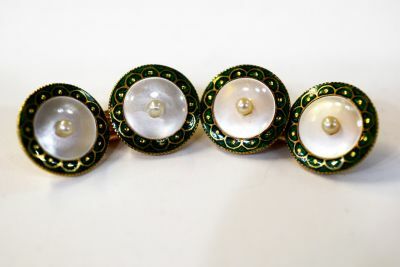 A beautiful pair of Edwardian 18kt yellow gold mill grain cufflinks that feature medium yellow-green enamel with gold trim framing 4 round mother-of-pearl disks, approx. 10.4mm and 4 rosy coloured pearls, approx. 2.7mm. 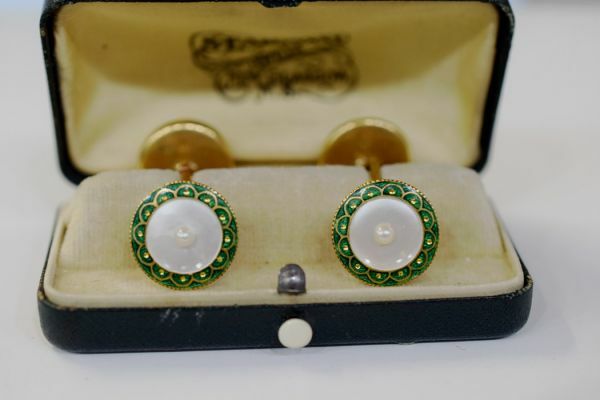 The cufflinks are marked RD 494721 TIC Brevete S.D.G.D. (" French - breveté sans garantie du gouvernement" - Patented Without Guarentee of the Government." "Patents were granted without examination since an inventor's right was considered as a natural one"). 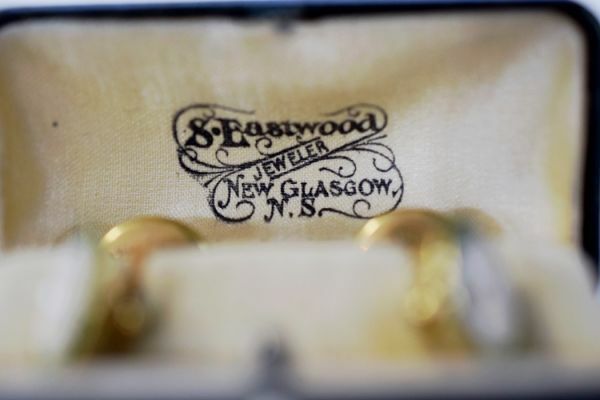 They are accompanied by a green fitted box signed "S. Eastwood Jeweler New Glasgow N.S. 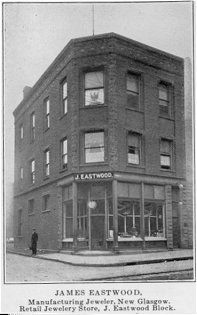 (Nova Scotia)". 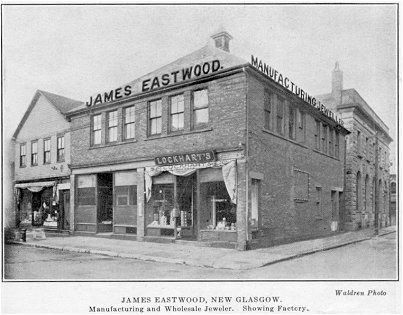 The James Eastwood shown in the Historical photos was likely related to S. Eastwood.